Wrap in plastic film or in bulk. 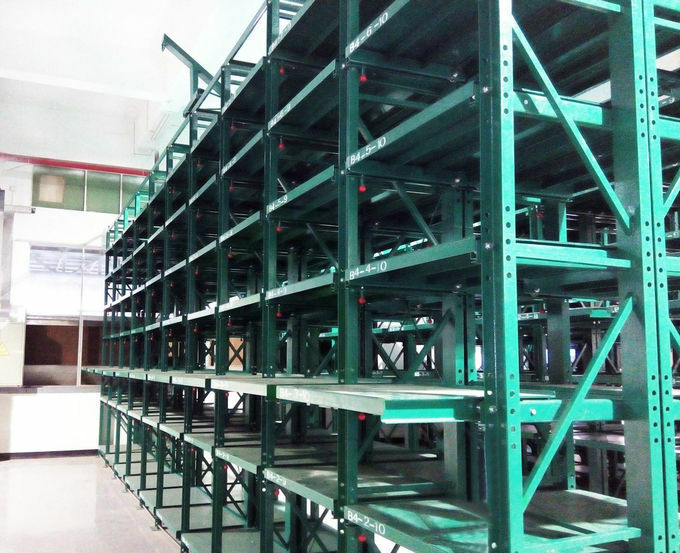 Mould Storage Racks is mainly used for storage of all kinds of mould, which could be assembled with manual movable carriage on the top so as to easily take and retrieve the goods. The side rack was equipped with idler wheel rail on the bottom and the sliding shelf panel could be freely pulled out when loading. The middle type slide rack could carry less than 800KG/Drawer, and the heavy type slide rack could load more than 1000 KG/Drawer. 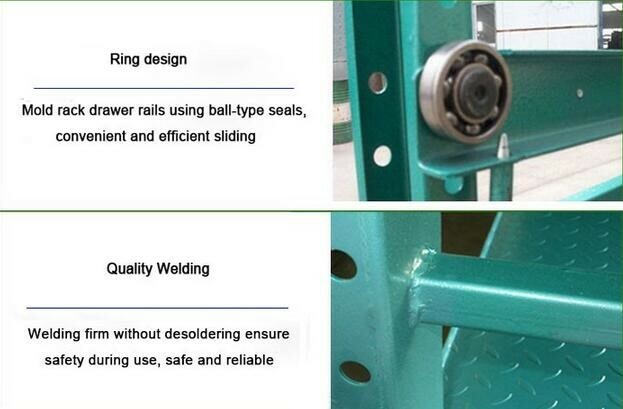 The entire rack is section combination structure, which is convenient for transport, and the assembly is simple and fast and this rack possesses better safety protection device. Special drawer type mold rack can be ordered. 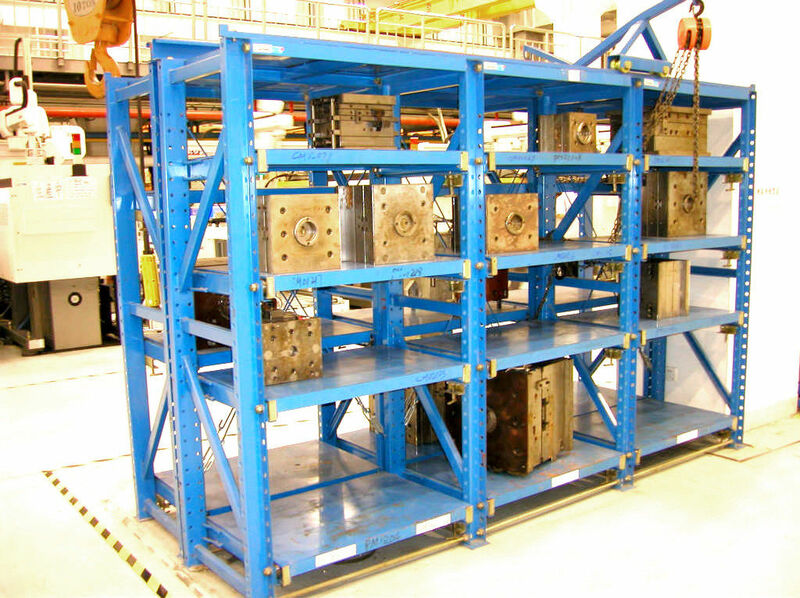 1) Loading capacity: 800kgs /pair beam. 4) Anchors and all necessary components. A:Our factory is located at Hengli Town, Dongguan city, China, which is just 1 hour driving away from HK. You are always to pay a factory tour to our factory. 3. Q:What is he material of your products? A: The material is Q235 Cold rolled steel . We can also choose material as customers’ requirement. A: Just feel free to send us drawing, we will try to meet your requirement and offer you some samples for reference or confirmation.